Last weekend, J and I were off for 4 days and I think we planted some new plant in the backyard on every one of those days. 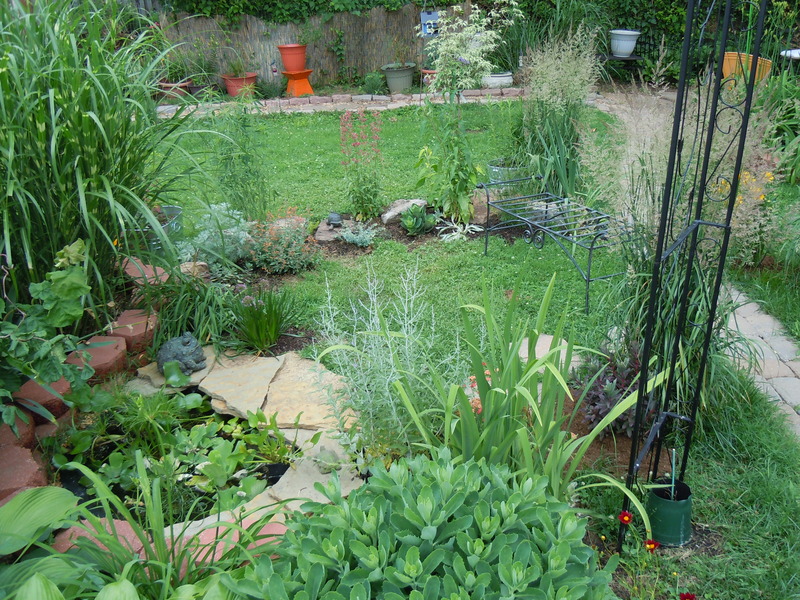 We also added fish to our pond and water tub, some turtles and frog statuary, and some boulders to create a wild natural garden that is spilling over out of our flower beds and into the yard around the pond. It really looks nice. Here are several snapshots of it.